You used to be able to tell a prototype from a product by the trailing wires, loose sockets and general dishevelment of its case, controls and display. In the age of Kickstarter, where even the most tenuous of development projects gets packaged like a mass-market consumer product and featured in promo videos lovingly shot with Apple aesthetics, scruffy doesn’t cut it. For a project or product prototype to have prospects, it needs to look good and work well almost from the off. How can you make this happen? One of the most important early decisions you can make is what sort of touchscreen technology you’re going to implement. Our expectations of touchscreens are high, thanks to our experiences of smartphones and tablets, but there are plenty of applications in which sensing the presence or absence of a single finger is enough to enable developers to do away with the need for a physical button or switch. In these cases, a resistive touch panel may be enough. If your application demands a more subtle interface, then a capacitive touch panel may be more suitable. There are options here, too, in terms of how many fingers can be sensed at once. For example, Riverdi makes a range of TFT LCD modules that can integrate either two- or five-finger multitouch panels, sensed using a technique it calls projected capacitive touch. If you’re going to use a touchscreen display module in your project, then you might as well make life as easy as possible by specifying it to work easily with the rest of your design. For example, some projects may only need a simple module interface that accepts raw RGB and sync data for it to display. Other projects may favour I2C/SPI interfaces, for simple integration into a more sophisticated design. Designers may want to think about whether they want an LED inverter to drive the display backlight to be built into the module itself, or whether they can provide that voltage from the host board more cost effectively. They may also need to consider how their design is partitioned, so that they can decide how sophisticated a display controller they are going to need. Should most of the work of driving the display and interpreting the touch panel’s output be handled on-board the module by an embedded controller, or should the host board’s specification be uprated with a more powerful microcontroller to handle that instead? And what about look and feel, which is where we started. If you’re making prototype volumes, it may seem hard to get exactly what you want. 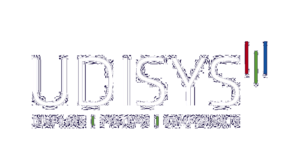 But companies such as Riverdi can offer quite a variety of relatively simple customisations, many of which are available for low-volume buyers, that can set your project apart. 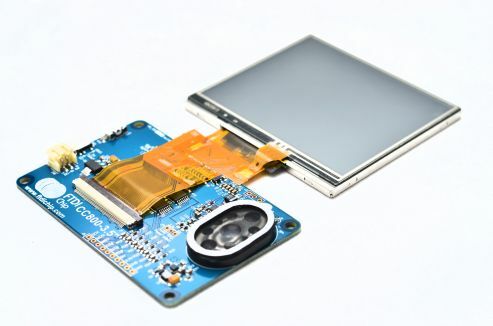 For example, take a module like the RVT43ULSNWC0x, a 4.3in 480 x 272pixel TFT LCD with capacitive touch panel, designed for use in industrial applications. The basic options on this module include a choice of black or white cover glass, a choice of how the panel should be mounted (adhesive tape or not) and whether the edge of the display glass should be chamfered. The Advanced customisation level adds options to have the border of the cover glass in any colour of your choice, the inclusion of a printed logo, and transparent or semi-transparent spots to let LEDs or sensors alongside the display module be seen, or see, through it. At the full Professional customisation level, designers can specify the shape of the cover glass, its thickness, an anti-reflective or anti-glare coating, and whether to use a strengthened material like Gorilla glass. They get the same rights to choose the colour of the glass, and can also add more complex graphics, for example to indicate virtual buttons on the touch panel. They can even specify the size of any holes they want drilled in the glass. Developers are also supported with a range of boards that can make the prototyping process easier. For example, Riverdi’s Revelation board provides a way to explore its range of TFT panels that use its FT8xx controllers. The Revelation board has its own microcontroller, and can be used for exploring the visual qualities of the display, what the functions of the FT8xx controllers, and various touch panel options. 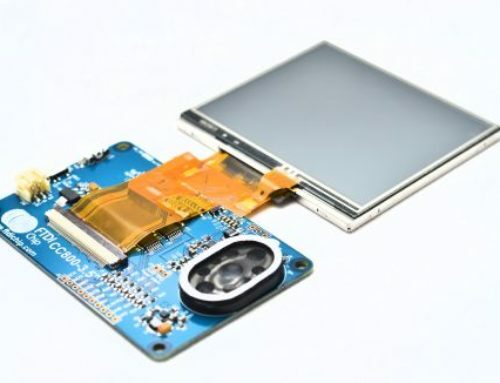 Riverdi also provides breakout boards for expanding the FTC connector of the display modules to a user-friendly header into which IDC ribbon cables can be plugged. It also offers a Hermes board, which has a USB connection on one side and an SPI interface on the other, so you can use a PC to drive one of the Riverdi modules that integrates its FT80X and FT81X controllers. Finally, there’s an Arduino shield, which brings the possibility of professional-looking prototypes within the reach of everyone, be they hobbyist, student, academic, or entrepreneur. 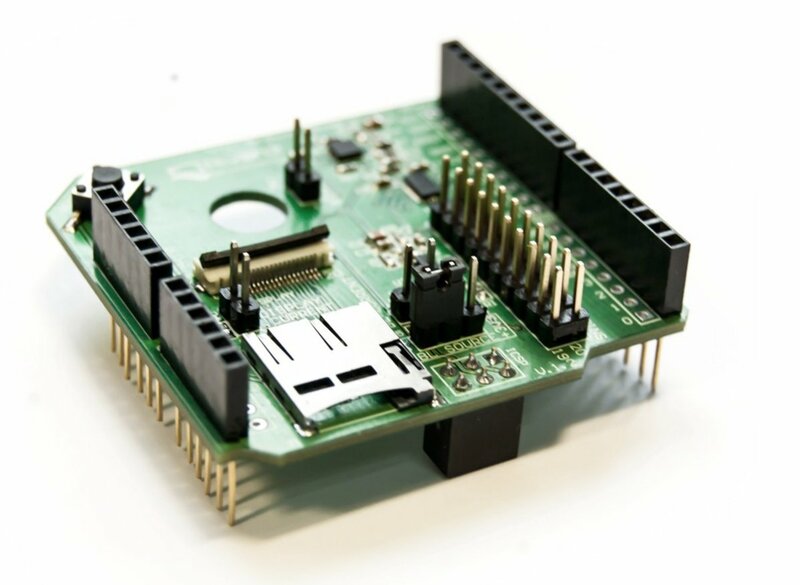 The Arduino Riverdi TFT shield connects to the same type of Riverdi modules as the Hermes board, and offer an external speaker connector, multiple display pin headers, a Micro-SD card slot, backlight power supply selection jumper, and the all-important Reset button. Because even the best-looking prototypes sometimes need a restart.